Kenneth Clark, I think it is safe to say, was the most influential championer of art of his time. Art consultant to King George VI, Director of Britain's National Gallery at just 29 years-of-age, Clark maintained this role through World War II, and although the paintings were removed to protect them from German bombs, he made the museum a rallying place to bolster the spirits of the people via art and music programming. Art as an antidote to war - the antithesis to American president's decision this past week to eliminate the National Endowment of the Arts in favor of military spending. Clark was also creator of Independent Television - an alternative to the BBC, and is probably best remembered as creator and host of the landmark television series Civilisation, made in 1969. He was friend and patron of many artists and writers the likes of Duncan Grant, John Betjeman, and Henry Moore. It is easy to see why James Stourton was drawn to write Kenneth Clark: Life, Art and Civilisation (Alfred A. Knopf, 2016) with such a compelling subject. Stourton was thorough with the timeline of events, comprehensive in chronicling Clark's many relationships with artists, royalty and paramours, and complex in revealing his subjects contradictions - a mind described as cold and hard as a diamond, yet a nature passionate enough to break down in tears as he narrated an episode of Civilisation on the steps of the church door at Wittenberg. This biography would have been helped by a clearer sense of time and place. Although Clark accomplished some of his most memorable acts in war-torn London, they seem no different from those that occurred in the 1950s or 1960s. The decades slip by unnoticed, first the war, then the Ministry of Information and suddenly Clark is working in television. I found myself looking back a few pages looking for the indication that as Clark's vitae was covered that happened in the context of a world whose politics, science, art and design changed. We know that Clark made a call, wrote a letter, or sipped a drink, but the phone, the pen, the glass is invisible. If insulation from change was the point, this was unclear. The resulting biography was a series of deeds occurring in a vacuum, making a rich life feel strangely unanchored. What comes through in Strourton's book regardless is what Clark stood for. Clark quoted Ruskin: "Great nations write their autobiography in three manuscripts: the book of their deeds, the book of their words and the book of their art. Not one of these books can be understood unless we read the two others, but of the three the only trustworthy one is the last." Judging by this standard, the United States in 2017 will be remembered as thoughtless, illiterate, and impoverished. 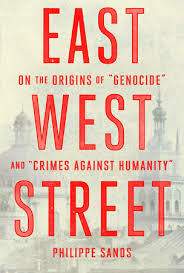 Once known as "little Paris of the Ukraine," the city of Lemberg (also called Lwów, Lvov and Lviv, depending on the moment in history and who was doing the calling) figures prominently in Philippe Sands's East West Street (Alfred A. Knopf, 2016). Invited to deliver a lecture on international law at the University, he uses the opportunity to do a little research into family history, as it is the place of his maternal grandfather's birth. In seeking answers to questions about his grandparents' immigration to Paris in 1938, he learns that three other men crossed paths in the city of Lviv. One was Hans Frank, a lawyer appointed by the Nazi's to run the Jewish ghetto, where he condemned its entire Jewish population to death. The other two men both figured prominently in Sands's own profession, Rafael Lemkin and Hersch Lauterpacht, Both studied law in Lviv, they event studied under the same professor, and both invented key mechanisms of international law used today. Lauterpacht conceived of crimes against humanity, which he saw as an internationally applied mechanism that uses principles of national law to protect the well-being of individuals against acts by the country in which they reside, such as enslavement, deportation, torture, or murder. Until this point the state was seen as an entity whose power was inviolate (some countries still see it this way) but Lauterpacht felt that the right of individuals to liberty and the pursuit of their pleasure was sacrosanct, and superceded a nation's sovereignty. Lemkin invented the concept of genocide. In fact, the word did not exist before he coined it. It was as a law student that Lemkin first felt a sense of outrage towards the Turkish mass slaughter of Armenians. "So it's a crime for Tehlirian to strike down one man, but not a crime for that man to have struck down one million men," Lemkin is said to have asked? Lemkin described the process via which the German state stripped Jews and others first of their nationality - severing them from the state, then dehumanizing them - removing their legal rights (since, being stateless, they no longer could claim the protection of the law), and finally by killing them spiritually, culturally, and eventually literally. Lemkin's concept was focused as a legal solution to this process, and so on crimes committed against groups rather than individuals. During the Nuremberg trials following World War II, both he and Lauterpacht vied for the use of their mechanism in prosecuting Nazis. The trial set the precedent for the trying and punishing of such offenses that were excused under the laws of their own countries, but seen as an outrage by broader humanitarian standards. Mechanisms to carry out international justice have taken a long time to put into practice. It was the late 1990s before international law had the teeth to punish individuals such as Slobodan Milosevic, president of Serbia, and August Pinochet, former president of Chile, for their crimes. In the New York art world of the 1970s, art historian, Leo Hertzberg, experiences a powerful painting. He buys it, beginning a friendship with the artist Bill Wechsler that is the center of What I Loved (Sceptre, 2016) Siri Hustvedt's deep, serious, and multifarious novel, first published in 2003 and recently released in a beautiful new softcover edition from Sceptre. What I Loved is about many things: art, love between friends, between lovers, spouses, parents and children, and it is also very much about loss - as the title presages. 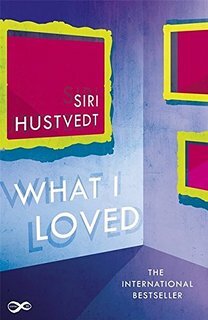 It is Hustvedt's accomplishment that though this novel occurs over a span of thirty years, interrelating the psychology of hysteria and eating disorders, page-long descriptions of visual art, details of quotidian domestic existence and passionate infidelity, and moments of profound grief, and though it is told from the first-person perspective of a somewhat fusty art academic, you don't look at the brushwork. The ins, outs, and intersections of theme, of characters and of what they make - because everyone is painting, drawing, writing essays, a dissertation, cooking a meal, staging a rave (these characters are nothing if not generative) - this welter of detail gives rise to a single complexity - a work of rich substance and of emotional heft. A. B. Yehoshua is one of just a few Israeli writers, along with Amos Oz and David Grossman, whose novels are regularly translated and make their way to the U.S. I especially enjoyed his Mr. Mani, a sweeping tale of six generations of a Sephardic family. His latest The Extra trans. 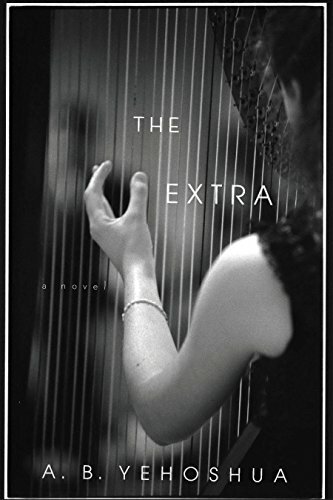 Stuart Schoffman (Houghton Mifflin Harcourt, 2014) concerns Noga, an Israeli-born harpist, living in Holland. Following her father's death, her brother wishes their mother to leave her Jerusalem apartment and move to an assisted living facility near his home. His mother resists, so a compromise is reached - she will try out the facility for three months. Through a quirk of the law, she risks losing her Jerusalem apartment if it is not occupied by a member of the family, so Noga is asked to take a leave from her job with a Dutch orchestra and stay in Jerusalem for that period. 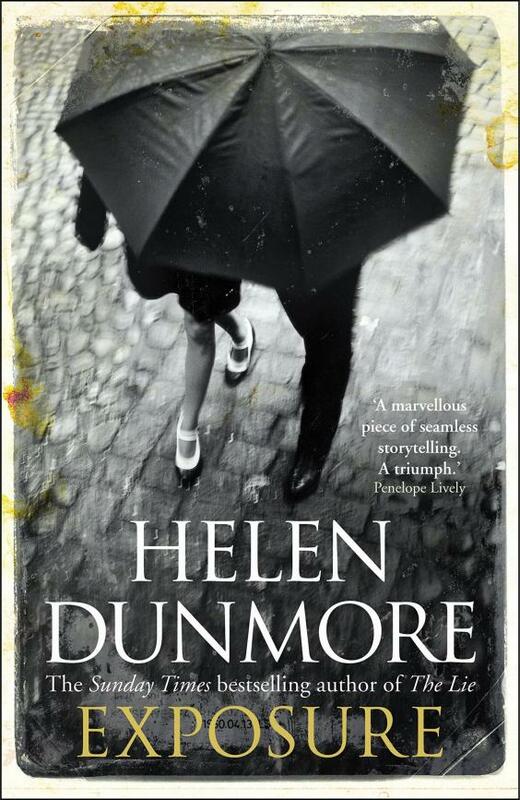 Helen Dunmore's Exposure (Atlantic Monthly Press, 2016) is a gently genre-defying novel - a deep and satisfying story of relationships posing as a cold war spy novel. It is as if someone were filming an espionage thriller and this is the story from the backstage perspective. The actor makes his entrance into the office to be challenged on the missing pages from the dossier, but you, the reader, are watching him as he prepares off-set, smooth back his hair prior to his entrance, and when he enters to play the scene, instead of focusing on the written dialogue, you hear a voice-over of what he is thinking while playing the scene. Since this is the obverse of an espionage novel, the plot as such is not the point, but... it is the 1960s. Lily's husband, Simon, who works a mid-level job for British Intelligence, is asked by his superior, Giles, to return a sensitive file when Giles unexpectedly lands in the hospital. Lily unwittingly discovers it and buries it to protect her husband. Simon is just unimportant enough in the power hierarchy, and the file just important enough, that he becomes a scapegoat when its disappearance must be covered up. He home is searched. He is carted off, awaiting a courtroom trial in a jail cell and Lily and her children gradually become ostracized. 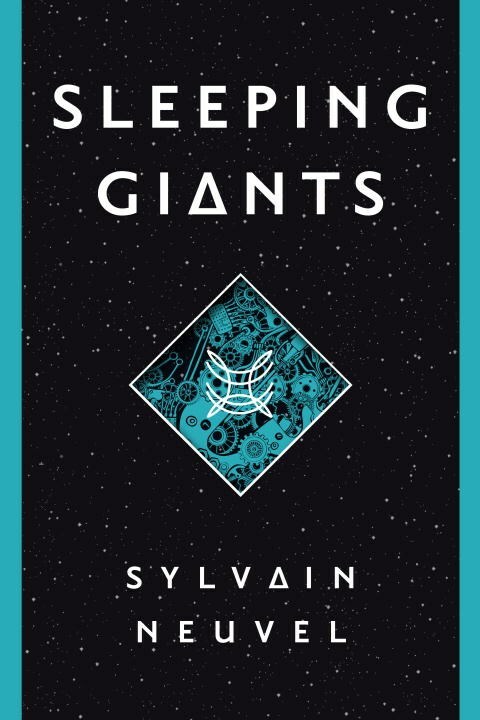 Sylvain Neuvel's Sleeping Giants (Del Rey, 2016) is the first volume of a planned YA fantasy series. A young girl happens upon a giant hand at the bottom of a hole dug into the earth. It is composed of an unidentifiable metal, is several thousand years old, and sits in a square shaft whose walls are painted with symbols. Fast forward 20 years and this girl has become a scientist who joins a team of quirky experts - military and scientific - who are charged to understand the origin and purpose of the hand. Has it been placed here for good or evil? Who by, since humans were not known to be technologically advanced enough to build such an object 3,000 years ago? Unfortunately, this potentially compelling story is told as a series of diary entries or interview transcripts, the result being chapters that explain what has already happened. The narrative is fast-moving, but dull because we are at a remove from the action of the story. It is full of pseudo-profundities about the power of ultimate destruction and international relations. Even reading this during the Brexit vote while traveling in the UK did not conspire to ignite the kindling under these timely ideas. Neuvel's attempt to create suspense by having the main interviewer of each of the characters stories be an invisible but powerful presence (think Charlie in Charlie's Angels) is his best idea, but falls flat due to a prose style that manages to feel too cute and show-offy. 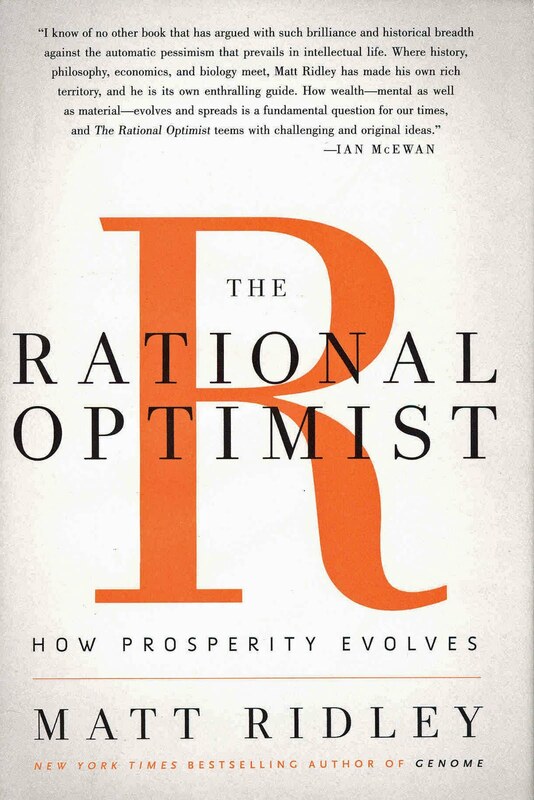 Where Neuvel is most effective is in capturing the feeling of scientists at work on a problem. The lab sequences ring true but aren't enough to drive me to read further in this series. They must embellish reality, because in the end that is what poets do, and they are poets, or at least they've dreamed of being poets on many late nights like this one. And that is exactly what they are about to do now: write the most difficult poem of all, one that has no verses but can touch the heart of a true artist. It starts out as a joke, but then it turns out it's not a joke. One of the two say, almost idly, It would be easier if we were a beautiful woman, then Don Juan Ramón would put his entire soul into answering us, that violet soul of his - and then suddenly he stops, the two young men look at each other a moment, and almost unintentionally the mischief has already been made. 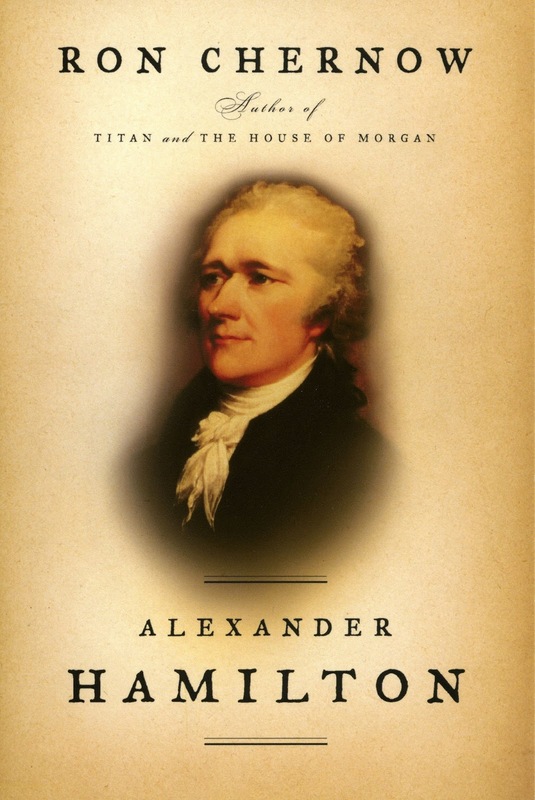 I'm not sure that Ron Chernow's Alexander Hamilton (Penguin Books, 2004) the bestselling biography and basis for Lin-Manuel Miranda's Broadway musical phenom needs any more hype, but here it goes. Chernow's book is a monument to one of America's most personally complex and influential founding figures. It is lengthy not because Chernow, as is often the case in modern biographers, can't manage to make choices about which bits of his research to share -- a toenails-and-all approach -- but because he integrates his subject's story with necessary personal and historical context. One cannot understand either the sheer amount of Hamilton's contribution to modern America: its constitution, party system, how voters are represented, how the state and federal governments relate, the system of checks and balances - nor the weight of these contributions, without understanding his role in the Revolutionary war, his relationship to George Washington (and by extension, who our first general and president was), and the opposition Hamilton faced from Thomas Jefferson (and who he was), James Madison (ditto), John Adams (ditto), and Aaron Burr (ditto), and having an overview of his most influential work The Federalist Papers. The bombing, for which Mr. and Mrs. Khurana were not present, was a flat, percussive event that began under the bonnet of a parked white Maruti 800, though of course that detail, that detail about the car, could only be confirmed later. A good bombing begins everywhere at once. Ethan Canin was already one of my favorite authors for having written For Kings and Planets, and I have frequently recommended his The Palace Thief and Emperor of the Air. With A Doubter's Almanac (Random House, 2016) Canin has written a "great" book, in the sense of giving expression to profound experiences, and also, I believe, in creating something whose meaning extends beyond its exemplars - the concerns of these specific characters, the obsessions of the period in which it was written - and has the potential to be enduring. Time will tell on that second point. In some ways, Canin is writing about the same things he has always written - fathers and sons, success and failure, gut-smarts and brains - all within the scopes of the grandest of considerations: time and space. Time as it is experienced on a human scale, through one generation of a family experiencing another. Three generations of the Andret family are the focus of this novel. Space as it is described by a branch of mathematics called topology, which studies the interrelation of things, though not on the level they are visible in nature, on a hypothetical level of multiple dimensions. This is the focus of the work of Canin's protagonist, Milo Andret, who may be a genius in using math to describe such relationships but is profoundly disabled in forming a typical human bonds and severely limited even in insight into himself. In one scene, Canin describes Milo as having to touch his own face to understand that he was smiling. So many horrific things had occurred, so sententiously and so calmly, during the last hour; so much catastrophe had taken place, that, exhausted as he was by the day's excitement, for a delirious, irrational moment Emanuel felt like laughing. 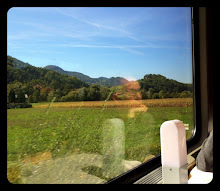 As he rides the train with his father to Berck Sanatorium, Emanuel meets an old lady whose son is a long-time patient. She asks if he has an abscess? 'It's a good thing the abscess is not fistulised,' muttered the old lady. 'And if it were?' replied Emanuel absently. Blecher's narrative pulls us inside the hyperfocus of a life commanded by illness. 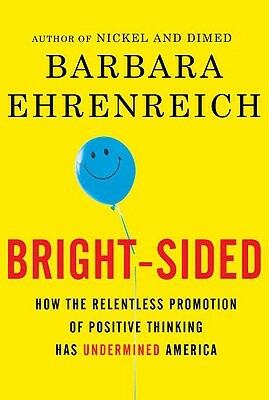 Today we celebrate technologies like virtual reality that are supposedly unique for immersing viewers in a full sensory experience of, say, sitting in the cockpit of a plane or walking across a battlefield, but Blecher's writing reminds one that books can be equally effective at enveloping the reader in the sensations of an experience that are not actually occurring to them. In this book, context is all. Blecher immerses us first in the immediate urgency of a young man's crippling illness, once that is achieved, the impact of this brief novel succeeds because we know two things, only one of which was known to Blecher. One is the tragedy that the author would die at 29 years-of-age, something we are aware of as his character worries about his appearance before meeting a girl he is infatuated with. Don't waste time, I wanted to scream as I read, but he struggles any young lover would, despite being tied to a carriage and immobilized in a body cast. The second is the absurdity, that, given the year of Blecher's death (1938), he would never see the war which would focus the entire world myopically on an infection of its own and that, if he hadn't died of tuberculosis, as a Romanian jew, he would likely not have lived but a few more years. 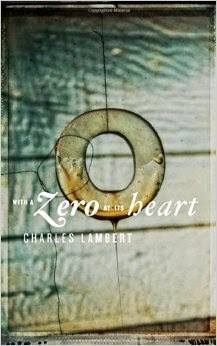 I am a great admirer of Charles Lambert's books, having enjoyed his thriller-like works Any Human Face and The View from the Tower, his debut novel Little Monsters, and With a Zero at its Heart, a recent volume of brief poem-like episodes of memory, surprising to me for how they departed in style from his other published work. 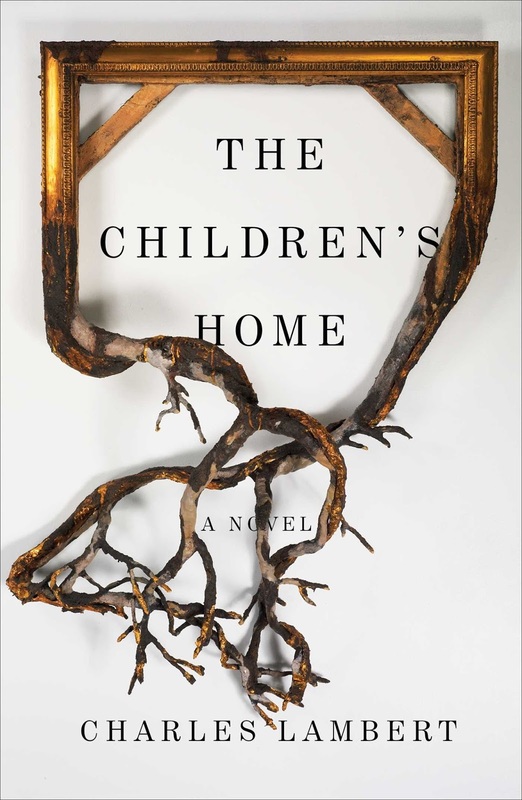 Never short on surprises, Lambert's latest is again a departure - I'd call The Children's Home (Scribner, 2016) equal parts dystopian fantasy, gothic tale, and parable. Reading across Lambert's work, I have observed a theme of betrayed innocence, which has been expressed in a story of disenfranchised children. Unlucky orphans have made their way into stories from Dickens to J. K. Rowling. I think that perhaps one appeal in tales like these is that, as a reader, I take on the perspective of that child. I can project my own not-knowing, my isolation, and sense of danger onto theirs - feel the risk, but safely, as this is art - and then later can defeat the adversity, feeling accomplished, knowledgeable, and secure. In The Children's Home, though, Lambert has turned the form on its ear (not surprisingly). Here the protagonist, Morgan Fletcher, is a grown man - but perhaps not fully grown - and this is part of the point. He has been the victim of his mother's cruelty and has quite literally lost his face (read his sense of self). In the course of this story, it is a child, or band of children really, who help him grow up. The tale makes nods to literary predecessors - Orwell and Kafka - with a nameless Ministry that sates itself by devouring children - H.G. Wells and Ralph Ellison - with a protagonist whose interior and exterior faces are very much at odds. I think that I detect an homage to Oscar Wilde's The Selfish Giant, perhaps? As a thriller writer, Lambert knows how to create narrative tension by not answering all the reader's questions. As a poet, he holds back from explaining everything the reader wants to know, so that we insert our imaginations into the text. In Lambert's fantasy writing, the world is familiar and yet never quite what one expects (the sun rises in the West, for example) and the clues are subtle. It feels a very Lambertian reading experience that in paying close attention, this reader felt that he had teased out special details hidden just for him, felt rewarded, even accomplished, at the conclusion of The Children's Home. 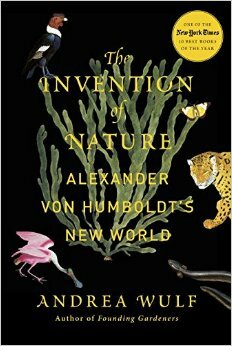 Andrea Wulf's biography The Invention of Nature: Alexander von Humboldt's New World (Alfred A. Knopf, 2015) shares the irrepresable energy of her subject. Wulf convincingly contends that the German-born explorer, adventurer, scientist, and author (1769 - 1859) was the creator of our modern understanding of the natural world. His interests extended from volcanoes to plant-life, to climate, to the cosmos and his influence can be seen in the way we comprehend nature as something not to be ruled, but as something that human beings exist within - something complex and "alive." Humboldt is an ideal subject for reconsideration in a modern scientific biography. Wulf paints a picture of Humboldt as a contemporary outsider, offering strong support that he was gay. He warned in the 19th century of the impact humans could exert on climate. Finally, his expertise of the natural world was preserved in dozens of volumes that were appreciated as much as repositories of factual information as they were for their poetry. This passion helped father the contemporary environmental movement, influencing naturalists Darwin, Thoreau, and Muir. It can arguably be appreciated in our own era's melding of the arts and sciences in an effort to broaden understanding of our small place but potentially devastating impact in a very large and complex system. 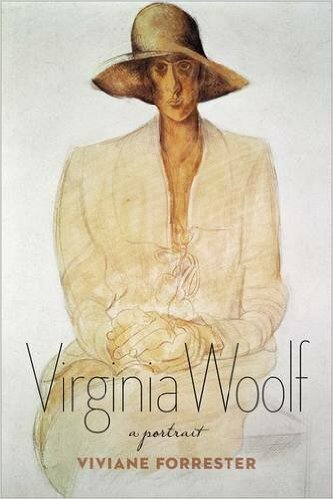 Viviane Forrester's Virginia Woolf: A Portrait (Columbia University Press, 2013), in 2013 is less strictly a biography than it is a literary myth-buster. If you are a fan of all things Bloomsbury, and I am an enthusiastic one, you are likely to be fascinated by new primary source material about Virginia and Leonard Woolf, Vanessa Bell, and the Duckworths. She uses this, a close reading of long-published letters, diaries and fiction, and a fresh frame-of-reference to reinterpret the famous relationships of Virginia Woolf to her father, husband, sister, and her own psyche. Her writing style is familiar and conversational, like a good literature professor leading a high-level seminar to share an original understanding of work she has reconsidered deeply. I don't know what it would be like to read this work without having a thorough grounding in Woolf's work, Leonard Woolf's diaries, and the famous Quentin Bell biography of Virginia Woolf, but I imagine it would be pointless. However, if you are an aficionado, the literary archeology is excellent, the writing accessible and clean, and the conclusions startling. 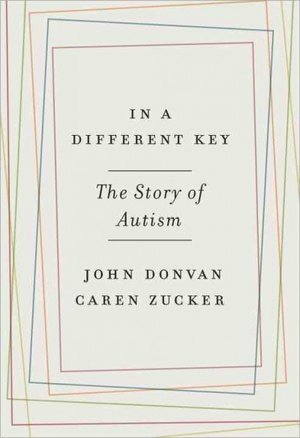 What John Donvan's and Caren Zucker's In a Different Key: The Story of Autism (Crown Publishers, 2016) is especially good at, is conveying a picture of autism historically, scientifically, and socially, by telling the stories of the people involved. One in 68 children have a diagnosis, so it's hard to live in today's America without hearing about autism. Understood as a lifelong neurodevelopmental disorder, it is diagnosed based on impairments in communication, especially social relatedness, and a restricted repertoire of activity and interests. The dysfunctions it results in manifest themselves in different persons as impaired eye contact, failure to develop peer relationships, an absence of or delay in developing communicative speech, an inability to conceive of other people's mental states or emotions, lack of spontaneous imaginative play, inflexible adherence to routines which are disruptive to daily functioning, and persistent preoccupation with part of objects rather than their conventional uses, symptoms which must be present prior to three years-of-age to be diagnostically relevant and which often are noticed suddenly, after a period of apparently typical development. 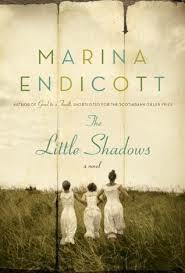 Award-winning Canadian novelist Marina Endicott is not widely known in the U.S., but she deserves to be. Her The Little Shadows (Doubleday Canada, 2011) is an entertaining, coming-of-age saga of three sisters, Aurora, Clover, and Bella, working for their supper on the vaudeville circuit circa 1912 with their widowed mother. Aside from simply being a good story, there were three things I particularly enjoyed about The Little Shadows. This is a coming-of-age story about women rather than men, which is still a literary rarity. When it begins, the emphasis is on the sisters' act, how they function as one, as their survival depends upon its success. But as they mature, they become individuals as artists and women. The joy of the plot is tracing the development of their characters and how their talents shape them to be the women they become. 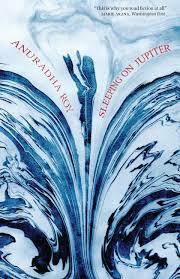 In Sleeping on Jupiter (2015, Hachette India) Anuradha Roy creates a tale of convergences. An Indian girl, Nomi, is orphaned when her parents are slaughtered in war. She is given refuge in an ashram, where she is sexually abused by the guru, after which she is adopted by a European woman and raised in Scandanavia. As a young woman she returns to India, to Jarmuli, the seaside town where the Ashram was located. Three older women, good friends, go on a long-planned trip to the same seaside town - a well-earned but final fun weekend, as one of them is becoming infirm. They make a pilgrimage to Jarmuli's famous temple. At the same time, one of the older women's sons has also made his way to Jarmuli for work, following the break-up of his marriage. And a young man tries to earn enough money to escape from under the abusive thumb of his uncle by working as a temple guide. These characters come to Jarmuli, some from darkness in their past, some with present woes. Their meeting is meant to have a redemptive ring to it, but Roy's beautiful lyrical prose doesn't seem to raise the convergence above coincidence. A well-to-do Londoner, his marriage and his job as an investment banker in ruins as the economy collapses in 2008, receives a visit. Zafar, whom he knew in college, is of Bangladeshi birth, an orphan, a mathematical prodigy, an Oxford graduate, and a human rights lawyer. 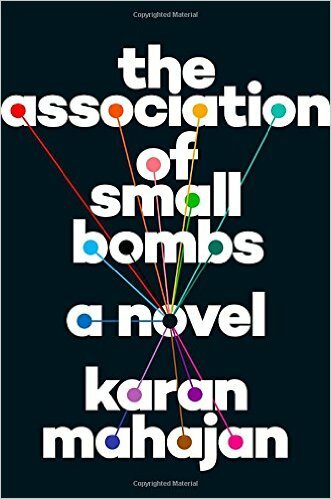 Agitated, traveling only with a backpack, Zafar arrives at our narrator's home and tells the remarkable story of how he came to be as he is now - a tale of contemporary Asian politics, English colonialism, and the Incompleteness Theorem of mathematician Kurt Godel. 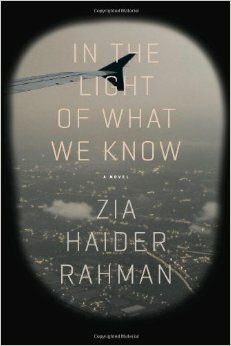 In In the Light of What we Know by Zia Haider Rahman (Picador, 2014) story- telling itself is an important part of the story. Both who we are and how we're known, it explains, are narrative constructions. Hanya Yanagihara's A Little Life (Doubleday, 2015) has been written about widely and short-listed for the 2015 Man Booker Prize. As I started it on the recommendation of my local bookseller this past summer, I had heard very little of the hooplah. 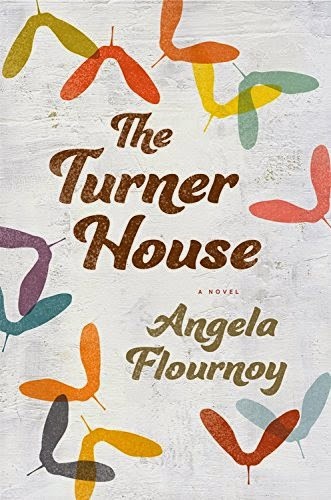 I believed I was reading a typical modern tale of four friends who went to college together, chronicling their coming of age, their successes, failures and jealousies in relationships and work. But A Little Life defies this genre. The friends are an architect, an actor, an artist, and their friend Jude, around whom they and this story revolve. Jude is a man of great beauty, although he is never physically described by the author. He is brilliant and creative, although he makes his very ample living as an attorney. Yet with all of the accoutrements of success, Jude cannot allow himself be loved, so severely is he traumatized by abuse he suffered as a child. If you live life with an ounce of curiosity in you, you likely recognize the longing Darwin so pithily expressed . 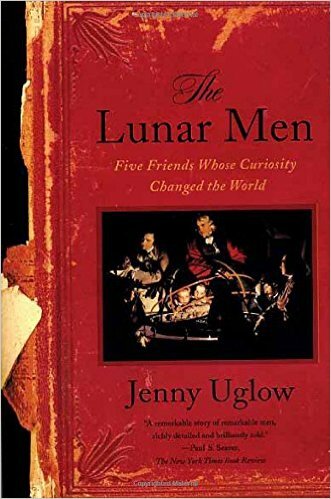 If you, like Darwin, James Watt and Matthew Boulton inventors of the steam engine, Josiah Wedgwood potter and chemist, Joseph Priestley religious radical and the discoverer of oxygen, or any of the other principal characters in Uglow's The Lunar Men (Farrar, Straus and Giroux, 2002), live to pursue your curiosities, then this is your creed. In the last several months I read the memoirs of two fascinating, beloved, gay, British-born public figures. One was published recently, the other 15 years ago. One works in one of my areas of expertise - the arts - and the other in the other - the science of the brain. 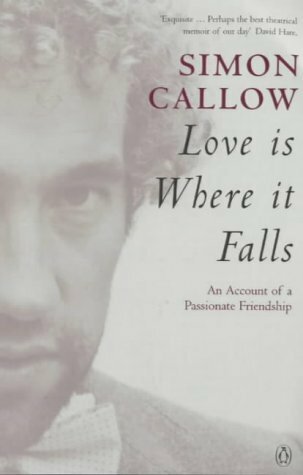 The authors were actor Simon Callow and Dr. Oliver Sacks. 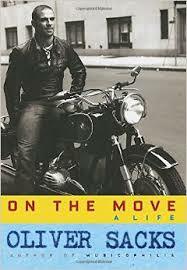 Their books are Love is Where it Falls (Penguin Books, 2000) and On the Move: A Life (Knopf, 2015). Their books are forthright and generous, the authors deeply giving of themselves, and they are crack writers. Knowing them now, as I do, it is fitting that these copies are signed. She had, she said, been walking down Piccadilly, musing on the fact that it was Moliere's birthday and that not a single actor in England would know, much less care. Musing on this sad reality, it had suddenly struck her that, yes, there was an actor in England who would know and care: me. And so she had gone into Fortnum's and ordered the wine and had it sent to me, to celebrate, with my actor friends, the great playwright's birthday. So begins an unlikely romance between a fierce, 70-year old theatrical literary agent, Peggy Ramsay, and 30-year-old actor Simon Callow. 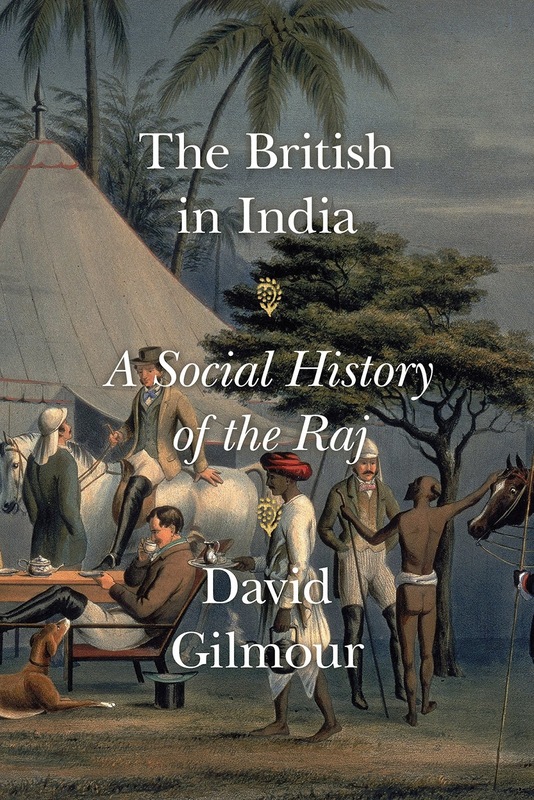 I find myself wanting less to write about the merits of this book than to quote from it. These two live passionately and are attracted to each other so relentlessly, because their taste in art is not so much an aesthetic about life's decor as a deeply held principle about the way to live it. We must feel, that is everything. 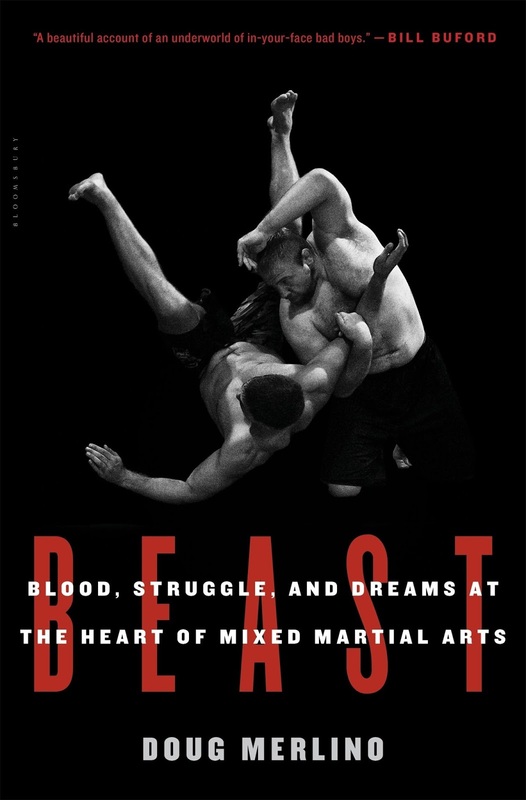 We must feel as a brute beast, filled with nerves, feels, and knows that it has felt, and knows that each feeling shakes it like an earthquake. I do so passionately believe that the only meaning of life is life, that to live is the deepest obligation we have, and that to help other people live is the greatest achievement. It's in that light that I see acting, and that alone. Oliver Sacks has written so humanely and observantly of his patients' lives (for instance here and here), and so openly of his peculiar fascinations, that this memoir, and this is the third of his books that might be classified as such, was a welcome departure. Here, finally, Sacks scrutinized as deeply and wrote as openly about his own life - particularly his inner life. This was welcome not only in knowing more about so great a man and storyteller, but also because one read it in the context of his impending death (about which he wrote so beautifully here and here) and because one could feel in the narrative drive this desire to share it all before it was too late. You're going to have to go beyond the clinical... Be metaphorical, be mystical, be whatever you need. This is really where Sacks's writing succeeds so magnificently in combining what is true with what feels true in a story. I cherish his writing and hope to celebrate his life in a live program in the coming year. A number of years ago, I switched from writing reading-to-reading impressions, posted as I read, to fully composed reviews after having finished a book. I recently began a new job running a cultural center in NYC, so, although I have been reading, I haven't had the brain space to write full fledged reviews. I'm going to try doing some capsule reviews as well as doing more of the the impressions while reading model for a while and see how that goes. I hope some of you will be along for the journey. 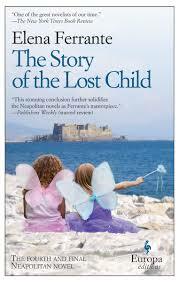 Elena Ferrante's Neopolitan quartet, composed of My Brilliant Friend, The Story of a New Name, Those Who Leave and Those Who Stay, and, The Story of the Lost Child, is a stunning portrait of the friendship between two women and particularly how the life of a great friend can become subsumed in one's own. It is a literary page-turner and arriving at the end of some 1,700 pages I experienced how masterfully structured it was. 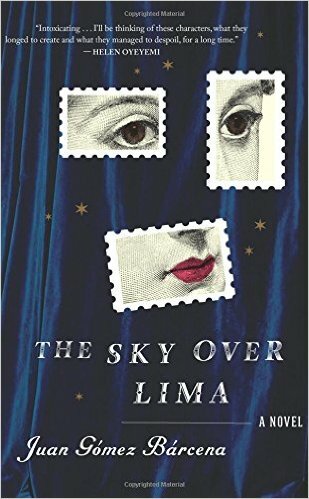 Ferrante's narrator is herself a writer and the quartet, especially the final volume, reflects on the process and consequences of writing. She manages to be smartly self-aware without becoming overly explanatory. Her mastery of craft is made plain to me when I think of the broad cast of some 40 characters with whom I had become familiar. The scene writing, as in the wedding reception that closes the first volume, brings the huge cast into spectacularly vivid focus, even while creating a tone that feels so of its period (late 50s/early 60s) that my mind's eye sees it in the Technicolor palate. I cannot recommend these enough. 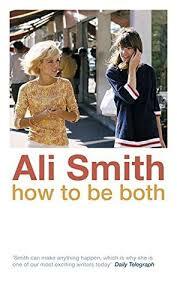 I feared that Ali Smith's How to be Both might become twee because of its concept, but I should have known better. 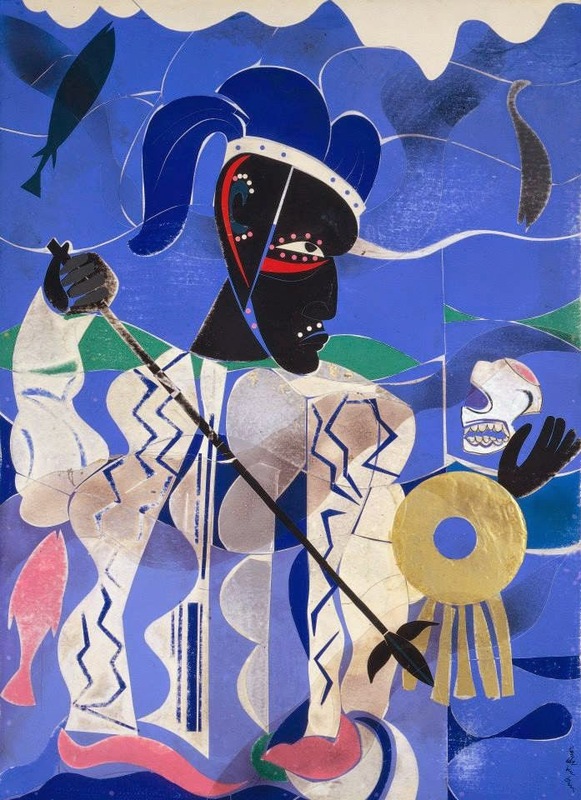 Smith has constructed a pair of interrelated tales, one set in renaissance Italy based on the life of fresco painter Francesco del Cossa and the other set in modern day Britain concerning a daughter mourning the death of her mother, an activist. The plots are cleverly referential of one another but don't yield their secrets easily. The concept, such as it is: these stories can be read with either as the first. In the order I read them (15th century first) the narrative keeps the reader working to understand what Smith's narrator sees. Without giving away too much, she/he sees aspects of the other narrative. In fact, each story's art making protagonist has a window into the other, and the effect for the reader is something like an infinity mirror. 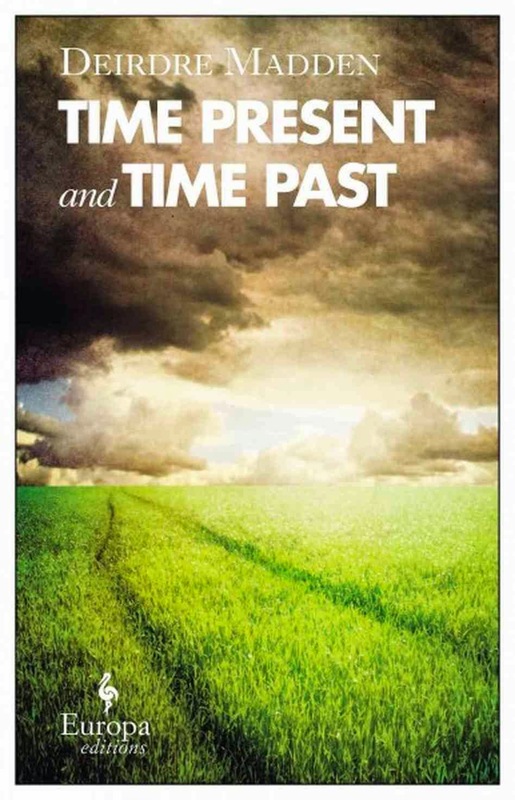 Smith's literary time travel is a puzzle of sorts, offering some intellectual smiles and even thrills at hearing the 'click' as a detail falls into place. I am a rabid fan of Smith's Artful and her themes of identity, loss, and the uses of art are visited here again but in a different guise. Smith loves to play with form, and to let you know it. If Artful was an argument (a narrative about the composition of a lecture on art), How to be Both is a more traditional immersive narrative experience, but one that plays with the tension between then and now, between life and death, between art and audience, and between visual and narrative form. You know those 'which writer would you invite to lunch questions?' 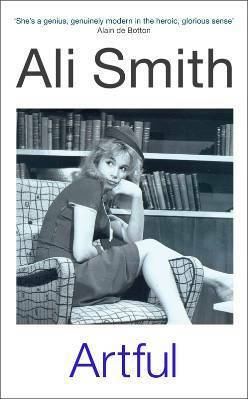 Ali Smith would be one of my guests. Still to come, capsules of Simon Callows' Love is Where it Falls, Olver Sacks's On the Move, and Hanya Yanagihara's A Little Life and while-I-read impressions of Hiding in Plain Sight and Lunar Men. 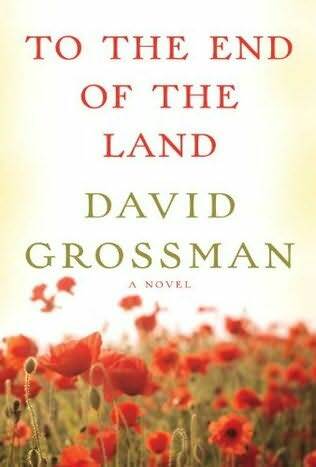 If you have loved David Grossman's fiction, as I have (see here on To the End of the Land), then you will appreciate this 2007 Paris Review interview with him on Arabs and Israelis, his writing process, and his life. ...the books that really matter, the books that I cannot imagine my life without having written, are the more demanding ones, like The Book of Intimate Grammar, Be My Knife, See Under: Love, and the book I’m writing now. I may occasionally like to write an entertaining book, but I take literature seriously. You’re dealing with explosives. You can change a reader’s life, and you can change—you should change, I think—your own life. Usually a lighter book will serve as a kind of recovery for me. I devastate myself when I write a certain kind of book—there is a process of dismantling my personality. All my defense mechanisms, everything settled and functioning, all the things concealed in life break into pieces, because I need to go to the place within me that is cracked, that is fragile, that is not taken for granted. I come out of these books devastated. I don’t complain, of course. This is how books should be written. But my way to recover from this sense of total solitude is to write books that will bring me into close contact with other people. I wrote The Zigzag Kid because I had to recover from The Book of Intimate Grammar and Sleeping on a Wire. Three family sagas are the subject of this post. What I like about this form is the intertwining of the characters' narratives with a sense of place and time. When it works well, I experience both the familiarity of people wanting, thinking and behaving, and the distance of an unfamiliar time and which gradually lessens, becoming more and more like my own. 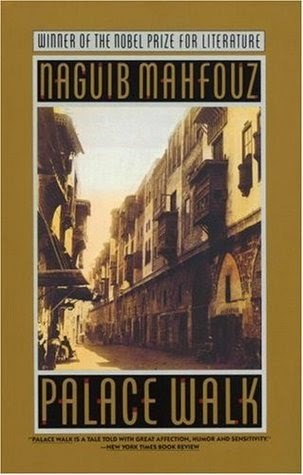 Sybille Bedford's A Legacy (Counterpoint, 1956, 1999) set in late 19th and early 20th century Germany, Naguib Mahfouz's Palace Walk (Doubleday, 1956, 1990) set in early 20th century Cairo, and Angela Flournoy's accomplished debut The Turner House, (Houghton Mifflin Harcourt, 2015) set in past and present day Detroit. 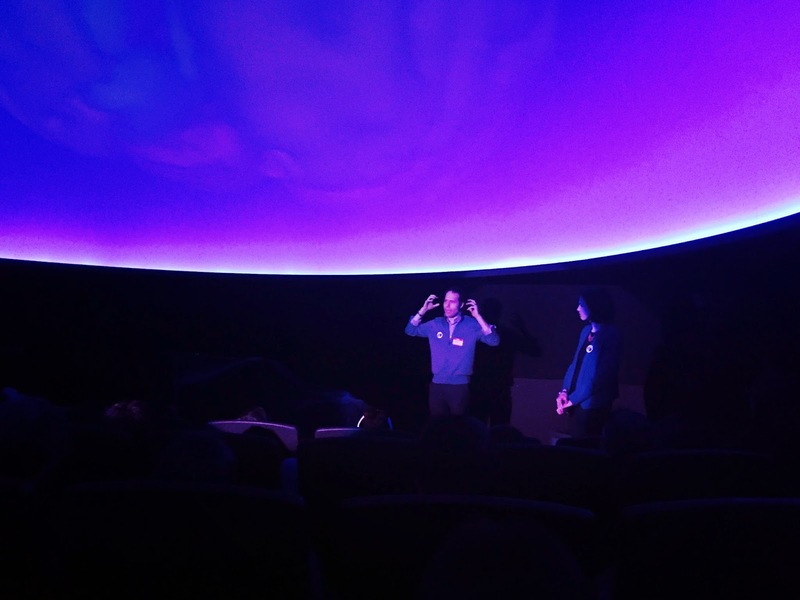 I talked to curious students about the Brain at BiobBase yesterday and took a really amazing tour through a 3-D brain in a planetarium...no, really. Check out my Brain Awareness Week blog by clicking here and scrolling down. This originally appeared here but I now post it below. When I heard that the opening event of Brain Awareness Week this year was on the theme of improvisation and involved arts and science, I knew that I wanted to be the one to report on it. I decided to do this blog as an improvisation; that is what follows. I am riding the subway on my way to Improvisation in the Sciences at Columbia. It’s the first event of Brain Awareness Week and involves musicians and scientists. Given the theme, and since I am both an artist and neuroscientist, I decided to improvise this blog, a little experiment. I’m feeling a bit nervous, like I’m performing myself. Before I left my apartment, I sat down to play a sonata on the piano, I thought it would get me in the mood but I was interrupted by a phone call letting me know that the subways were delayed. I ran out of the house. Having stopped the sonata in the middle, the strains are repeating unresolved in my mind’s ear. I am anticipating music on the program, but it probably won’t be this kind of music. Today, as more than 50,000 Russians march to honor Boris Y. Nemtsov, the Putin critic who was assassinated a few days ago, it seems timely to consider some of the art made in the context of Soviet and Russian regimes, which may be different for the name they give their ruler but seem alike in their repression of opposing views. While Putin is stripping off his shirt and getting into bed with the oligarchs, politically repressing homosexuals, and annexing Crimea as the Empress Catherine the Great did before him, I read The Spectre of Alexander Wolf, written by Gaito Gazdanov, a Russian living in Paris in the late 1940s, Ludmilla Petrushevskaya's There Once Live a Mother Who Loved her Children, Until They Moved Back In, three novellas about Soviet Life written between 1988 and 2002, and I saw the 1934 Shotakovich opera Lady Macbeth of Mtsensk at the Metropolitan Opera. These three works plumb life's extremities, attempting the creation of some kind of meaning in the face of the suffering endured by the artist. So we can thank repressive regimes for that literary construct we call the Russian soul. Each of these works express deep longing for something better. I have written enthusiastically of Charles Lambert's novels Little Monsters, Any Human Face, and The View from the Tower. His new creation With a Zero at Its Heart (The Friday Project, 2014) is excitingly fresh. Although it reflects qualities I have observed in his other work - the driving energy, the concentration on sensory experience in everyday life, and the cleanliness of prose - it refines them into something uniquely and lovingly felt. Lambert divides his narrator's life experiences into iconic categories like money, travel, language, danger, correspondence, work, waiting, death, books - 24 in all - dipping into 10 episodes per category. The episodes span early childhood to late-middle-age. Each is a 120-word prose snapshot, bracingly terse but warm with remembering. They evoke the prose poems of Frank O'Hara in their colloquialism, but with less smart-assed whimsy, and this seems not entirely without intention, as O'Hara is referred to in the section on waiting. Last weekend, thanks to my friend Sheila, I attended a screening of a The Awful Truth, a 1937 screwball comedy about a married couple who argue, plan to divorce, but just can't seem to leave each other alone because they can't stand seeing the other with anybody else. With Cary Grant,Irene Dunne, (and Asta, the dog from the Thin Man films), it was shown at The Museum of the Moving Image, a spot well worth visiting if you are in NYC. This is the film that some critics say, made Cary Grant a superstar, and it's not hard to see why. It is dead clever and full of good belly laughs. 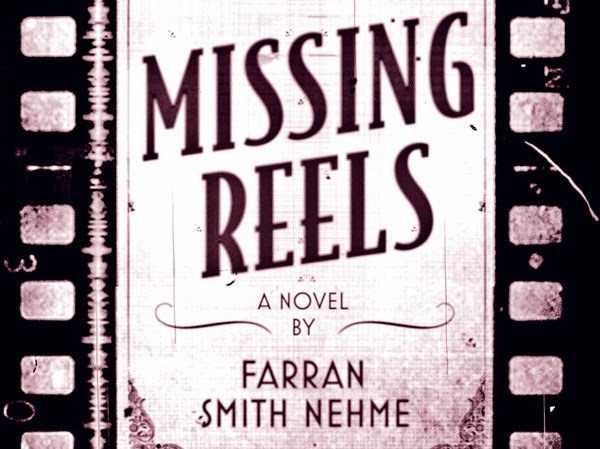 It was introduced by film writer Farran Smith Nehme on the release of her novel Missing Reels (Overlook Press, 2014), thank you, Overlook, for my copy. One could almost call the event reverse product placement. 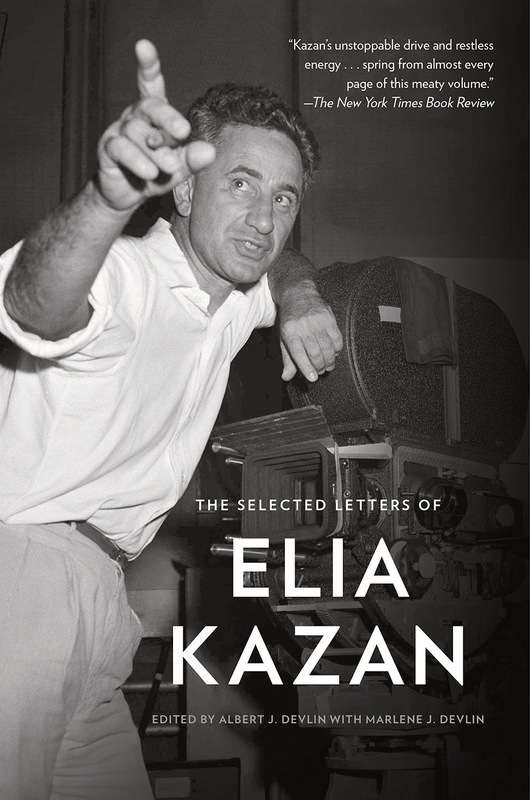 Rather than the film including the book, the book mentions The Awful Truth (and sooooo many other vintage films) in its pages, and occasioned this screening. But really, the film could not be better advertisement for Smith Nehme's entertaining novel which is part mystery, part romance, part love letter to vintage films, and a genuinely good time. The time? 1980s. The place? New York City, but this is a NYC without cell phones, without Disney in Times Square, a NYC that had payphones and vintage movie houses. I used to go to them all - The Regency, Carnegie Hall Cinema, St. Mark's Cinema, The Thalia - and see not just one classic film, but usually a double feature! Aaah, those were the days. 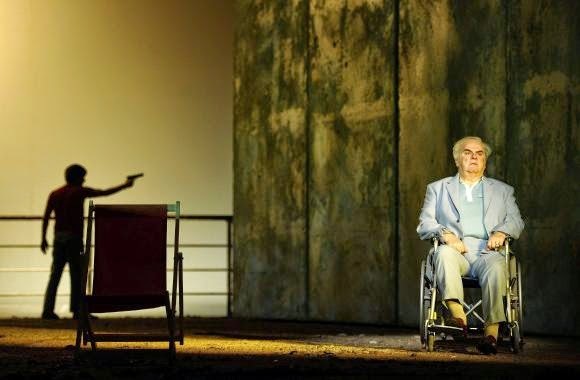 Some question the relevance of live theatrical performance in the age of Tivo and live streaming, but you wouldn't if you had seen two productions we attended, one off-Broadway and the other at the Metropolitan Opera. The New Group's production of David Rabe's 1971 Sticks and Bones is a still-fresh indictment of American hypocrisy, while the 1991 The Death of Klinghoffer by John Adams and Alice Goodman, although an over-literal production fails to ignite the material, is still resonant, especially in its having been mounted against the fear (unfounded) that its content would be incendiary fodder for anti-Semites. First the opera. It is based on the 1985 hijacking of a cruise ship by Palestinians. The American, British and Jewish passengers are taken hostage, and a wheelchair-bound Jewish man is murdered. The ship's captain, rather than reporting the killing and trading lives for demands, reports to the authorities that nothing has occurred, forestalling escalation and letting the hijackers go free. It's a tactical decision, not a referendum on the value of a man's life. One could say that the captain chose not to value Klinghoffer's life more than that of any other passenger. As played by Paulo Szot, it was not a choice the captain took lightly. Of course, that doesn't make it any more tolerable for Klinghoffer's loved ones. Ted at TED-Ed - on the brain, naturally. I recently co-created a neuroscience lesson for TED-Ed. It just went live. Check us out! Nowadays, the outcome of every scientific study is expected to be instantly useable by the public. News media demands ready-made dietary and medical advice, politicians and business people demand data to shore up the opinions they already hold, many funders want only outcomes that will translate to curing disease now. As nice as it would be to cure on demand, that would be as likely as making a hits of every Broadway tryout. Scientific "hits" are the product of fortuitous accident and incremental accumulation of knowledge, which usually includes more rejected possibilities than confirmed ones. Pop-neuroscience satisfies this expectation with books falling somewhere between science and self-help. 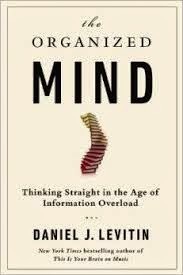 Daniel J. Levitin's The Organized Mind (Dutton, 2014) creatively hews to this formula. I thank Dutton, a Penguin imprint, for my copy. Of course the popularity of science, is not all bad. It is wonderful to have the ear of non-scientists and encouraging that interest requires that the public enter the discussion somewhere. But books that realistically convey how experimental outcomes find their way into the fund of general knowledge are in short supply. The wider the dissemination of half-baked knowledge, the more discerning the eager-to-consume non-scientist must become. In this age in which everything from raw experimental data and top notch interpretation to crackpot appropriation of small study outcomes and outright lies are easily available on line, and look superficially the same, the scientist has a responsibility to help the public develop a critical eye. 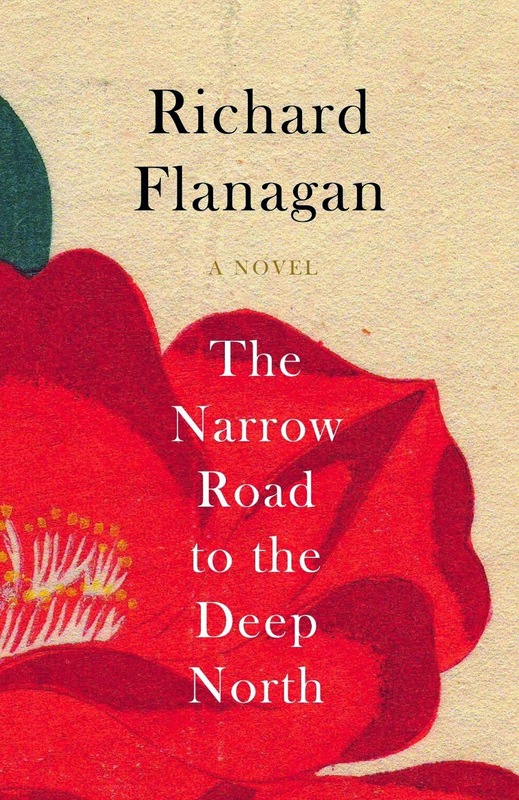 Richard Flanagan's The Narrow Road to the Deep North (Alfred A. Knopf, 2014) is a stunner of a novel. The Man Booker committee seems to have thought so too, having awarded it this year's prize. It concerns a man, a doctor, a prisoner in a Japanese POW camp, a father, a husband, an adulterer - all the same man - one Dorrigo Evans. Although he is all of these things, Dorrigo Evans is irrevocably shaped by his time as a prisoner of war, suffering abuse and deprivation at the hands of his Japanese captors as he and his fellow prisoners were brutally driven to build the Thai-Burma Railway. As an officer, he is expected to assume leadership of the prisoners. In this role and as a physician, he feels compelled to save as many men as he can from illness and violent punishment. His humanity is tested as the circumstances offer only choices among cruelties, warping any possibility of compassion. Two middle-aged spies are sitting in an apartment in the Christian Quarter, sipping tea and lying courteously to each other, as evening approaches. They are English - so English that the habit of politeness that binds them together and keeps them apart never falters for a moment. The sounds of the street waft up through the open window, car horns and horses' hooves mingling with the clink of china and the murmured voices. A microphone, cunningly concealed beneath the sofa, picks up the conversation and passes it along a wire, through a small hole in the wainscoting, and into the next room, where a third man sits hunched over a turning tape recorder, straining to make out the words through Bakelite headphones. The two men are old friends, They have known each other for nearly thirty years. But they are bitter foes now, combatants on opposing sides of a brutal conflict. 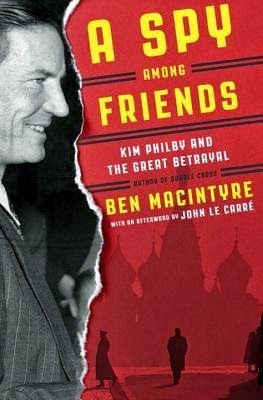 So begins Ben Macintyre's atmospheric, brisk paced A Spy Among Friends: Kim Philby and The Great Betrayal (Crown, 2014). You can read this book as fascinating political history, or as a thriller that just happens to be true, but I read it as a book about character. Kim Philby and his close friend Nicholas Elliott went to English public school together, Cambridge together, and went into intelligence in MI6 together following World War II. 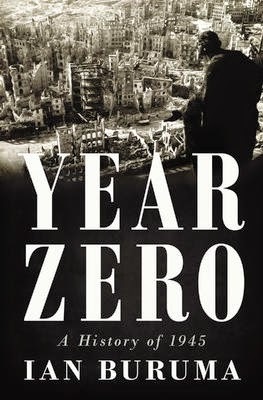 Elliott became a company man who climbed the ranks of British intelligence, while Philby infiltrated himself deeper and deeper into the circles of power. He stints included several years in Washington D.C. at the height of the Cold War. At that time he managed to befriend CIA Counterintelligence head James Angleton, a man known for paranoiac secrecy. All the while he communicated everything he knew about British and American plans to Russian intelligence. Philby made a hash of key British and American maneuvers for decades. He did it without a computer, zip line, disguise, or walkie-talkie watch, and for years few people thought to give him a second look. 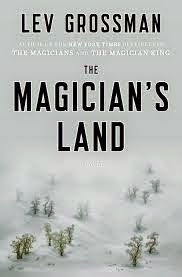 If you liked Lev Grossman's first two books in the Magicians Trilogy- The Magicians and The Magician King - you should love the conclusion: The Magician's Land ( Viking, 2014). 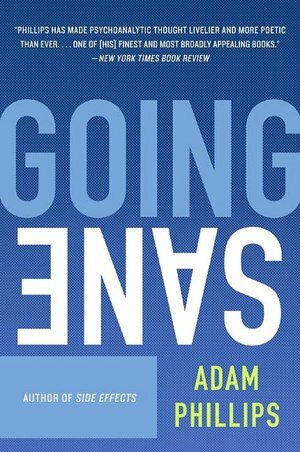 Grossman appropriates the YA fantasy form to create a series that is not about glib fixes to the experience of being an outsider. If first volume was about power and love, and the second about belonging and purpose, the third is about loss, what one accepts versus what one fights for, and the possibility or impossibility of rebirth. The story of postwar 1945 is in some ways a very old one. The ancient Greeks knew well the destructive force of the human thirst for revenge, and their tragedians dramatized ways in which blood feuds might be overcome by the rule of law; trials instead of vendetta. And history, in the East no less that the West, is littered with dreams of starting afresh, of treating the ruins of war as an open building site of societies based on new ideas, which were often not as new as people thought. There is a sentence in Dr. Johnson's Life of Gray which might well be written up in all those rooms, too humble to be called libraries, yet full of books, where the pursuit of reading is carried on by private people. "...I rejoice to concur with the common reader; for by the common sense of readers, uncorrupted by literary prejudices, after all the refinements of subtilty and the dogmatism of learning, must be generally decided all claim to poetical honours." It defines their qualities; it dignifies their aims; it bestows upon a pursuit which devours a great deal of time, and is yet apt to leave behind it nothing very substantial, the sanction of the great man's approval. Woolf's unassuming introduction to her essays is something of a pretense. 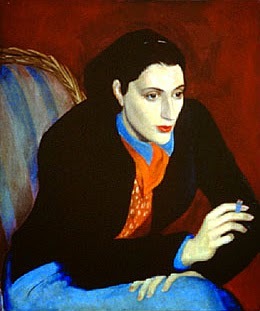 Woolf as a woman of her time and of certain means, was meant to occupy herself with her appearance and her household. She did not attend Cambridge like her brother, but her father's library permitted her to educate herself liberally, and her tongue is fully planted in her cheek in calling her opinions common while, at the same time publishing them. Remember that even in the hallucinations produced by Woolf's mental illness, the birds spoke in Greek. 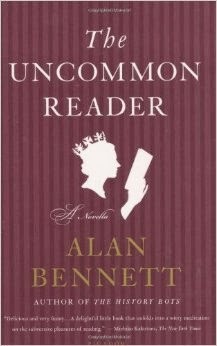 Alan Bennett's novella The Uncommon Reader (Picador, 2007) continues the joke by imagining it's way into the experience of another reader possessed of no ordinary library, whose standing might be described as anything but humble, and whose life is among the least private of any person's on earth. Yet for all that, she has acquired a habit, perhaps out of professional obligation, of not be too interested in any one thing more than another. Stuart Rojstaczer is a funny guy. 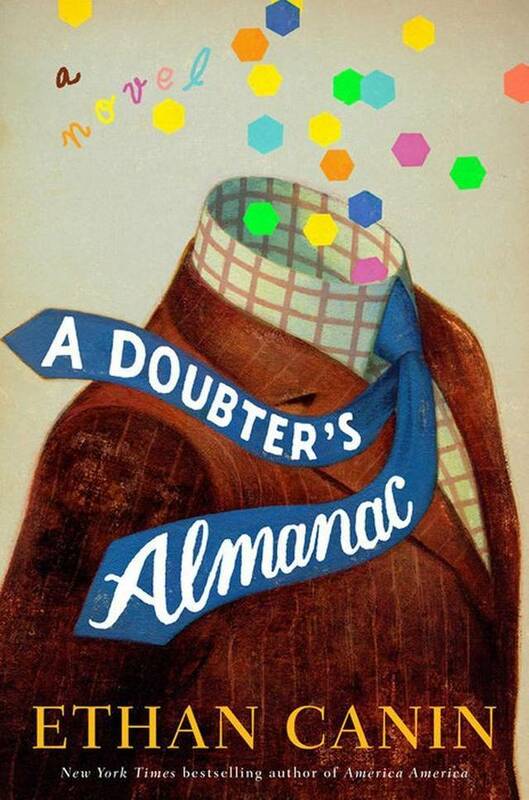 A joke-telling, Jewish, geophysicist/applied mathematician from Milwaukee, Wisoconsin who has written a debut novel about a Jewish meteorologist of hurricanes from Madison, Wisconsin. Sasha Karnakovitch is mourning his mother, Rachela, a brilliant Russian-Polish mathematician who may have solved one of the great, problems in mathematics, the Navier-Stokes problem, whose solution is worth $1 million. Wait, I'm not done. The very top mathematicians in the world descend upon the home in Madison to which Rachela emigrated after fleeing the Soviets, for her shiva, not to mourn and remember her as is usual in the seven-day ritual, but to get into the house so that they may find out if she solved the problem and, if not, perhaps find enough in her notes, to solve it themselves. The Mathematician's Shiva (Penguin, 2014) takes on mathematical concepts, narratives in multiple time periods, death, Jewish culture, broken marriages, and the Soviet gulag and, despite being a first novel, manages levity, charm, and a humanly engaging story. I'm grateful to Penguin for my copy. 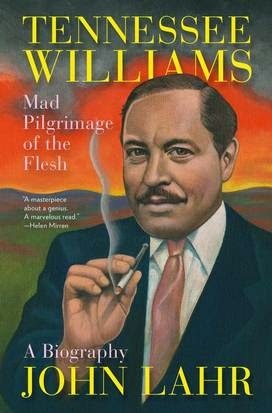 The force of the praise for W.G. Sebald from the likes of Susan Sontag, A.S. Byatt, Richard Eder, Cynthia Ozick, Michael Dirda in The New Yorker, The New York Times, TLS and elsewhere, make it pretty near impossible to come to his work unswayed. 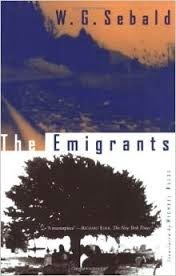 I felt less like I dove into a new narrative world with anticipation in reading Sebald's The Emigrants (New Directions, 1997, Trans. Michael Hulse) and more like I had been invited to an exhibit of fine porcelain at a small museum. I mustn't run, I mustn't touch, but I may walk through the hallowed rooms, look, and breathlessly admire. Whatever the use of literary criticism, or even book jacket blurbs, I don't imagine that that was the intention of these writers. Whatever I came to like about The Emigrants on my own, was come to slowly, after I was able to drop the obligation I felt to search for evidence of his genius yet, it was worth the effort. 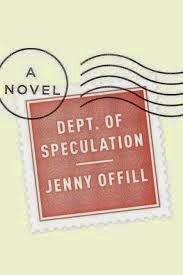 Jenny Offill has written an unusual novel in Dept. of Speculation (Alfred A. Knopf, 2014) and I thank John Self for making me aware of it. 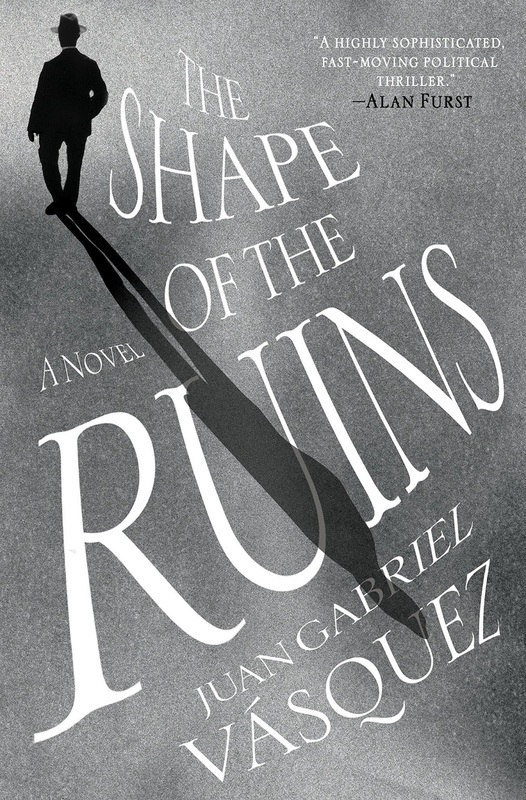 Angular, full of sarcastic wit and bitter rage, its 177 pages are composed of short, Neruda like paragraphs that are enigmatic on their own, but that one tears through at break neck pace. In fact, I challenge you not to read this compact, forceful book in one sitting. It would be impossible. You would lose the satisfaction of figuring out whether the accumulation of Offill's short lyrical bursts will give up the goods and yield a plot in the classic, recognizable sense of the word, or whether you will be left sifting through the bits to figure out what happened to her characters, named The Wife and husband. My plan was to never get married. I was going to be an art monster instead. Women almost never become art monsters because art monsters only concern themselves with art, never mundane things. Nabokov didn't even fold his own umbrella. Vera licked his stamps for him. I couldn't resist playing along with a meme I saw at Danielle's and Stefanie's blogs. Danielle gave me my algorithmically generated (and therefore not completely random) letter of the alphabet, and I am charged with telling you my favorite book, author, song, film, and object beginning with that letter, as well as telling you that I will happily generate a letter for you if you would like to play along. Just leave a request in the comments. 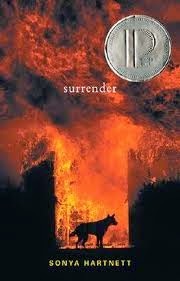 A favorite book beginning with 's' is Sonya Hartnett's Surrender. 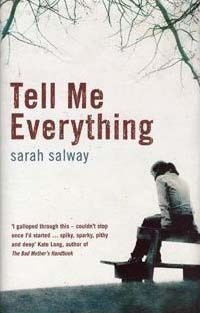 She is a lyrical, imaginative, and thematically serious Australian author who, although she writes books for young people, assumes them to be mature and intelligent readers. Surrender is a suspenseful, veiled, poetic tale related by two first-person narrators - an angel and a demon. I think I'll go with May Sarton, poet, diarist, and novelist. This underappreciated American writer has long been a favorite of mine. I wrote about her 1955 Faithful are the Wounds for the 2007 Outmoded Author's Challenge. The second of Richard Strauss's Four Last Songs - 'September.' Sung here by Renee Fleming. 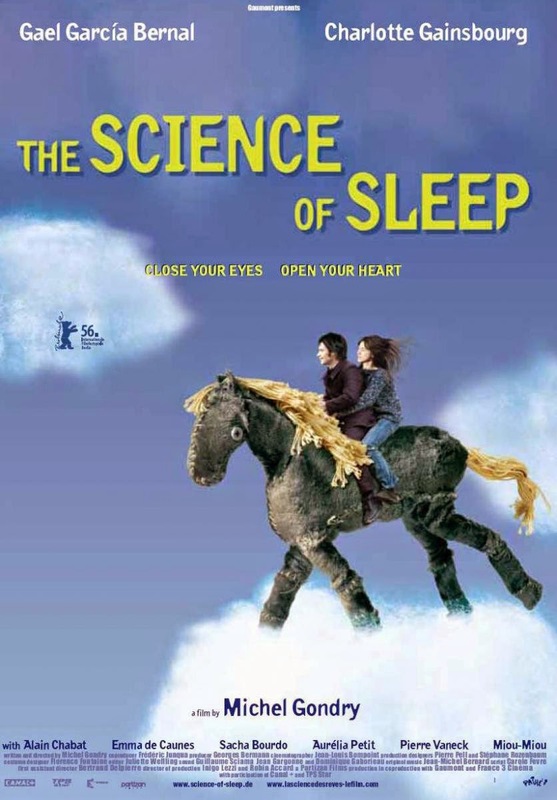 Michel Gondry's fantasmagorical low-tech The Science of Sleep in which Gael Garcia Bernal is delightful. If you are an asparagus fan, as I am, you will certainly never want to be without your spargel schäler. This highly specific kitchen utensil, mine was made in Germany, so I call it by its German name. 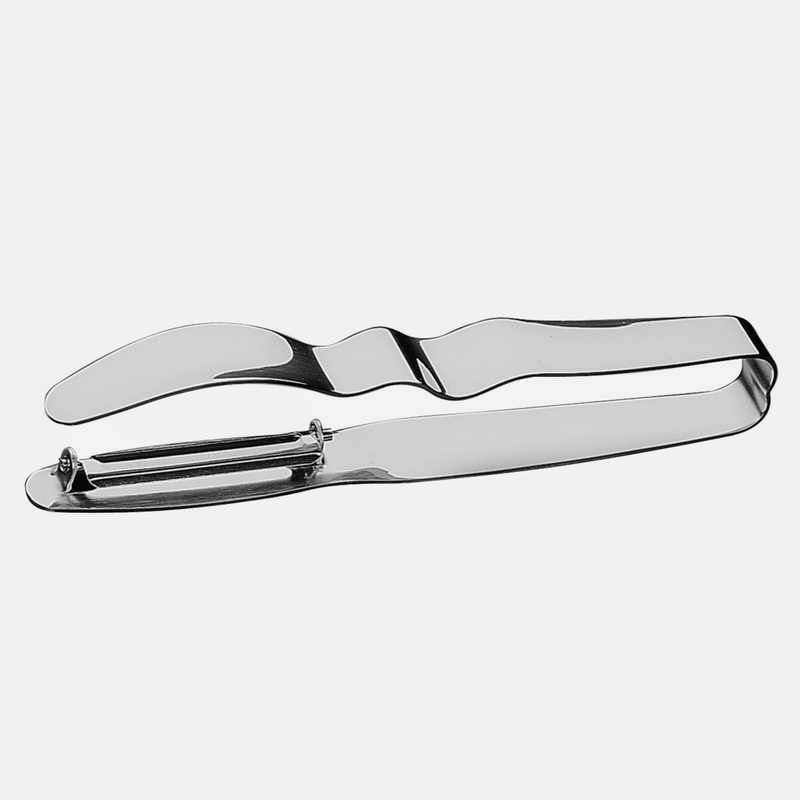 It is specifically designed to trim and peel asparagus. If you manage not to overcook them, they come out perfectly every time. Care to play along? Leave me a comment and I'll give you a letter.